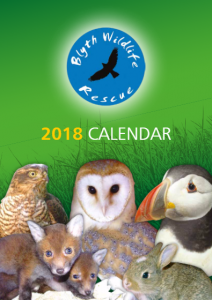 Currently, Blyth Wildlife Rescue is operating a limited service, due to an unusually high number of patients under treatment for this time of year. However, if you do need our help, please call or text the charity’s helpline on 07910 643 122 and leave a message. We will try to return your query as soon as possible. Since the attacks and subsequent closure of our Main Aviary Site in May 2015, we have limited space and resources to house many patients at any one time. Currently, BWR has only 3 small aviaries in full operation, which forces us to be selective in the animals we take in. We are working with other charities both regionwide and nationwide to transfer animals that need larger facilities or more time in rehabilitation. Since the vandalised Main Aviary Site was demolished, we have been unable to find another new site to construct existing and new aviary buildings for the rehabilitation of our patients. Therefore, we ask for your respect and understanding of our difficult circumstances. If you have a severely injured animal in need of URGENT help, you may also contact your nearest Vet or contact the RSPCA for further assistance. We work with over 25 Veterinary Practices throughout Tyneside and Northumberland who regularly refer animals into our care.